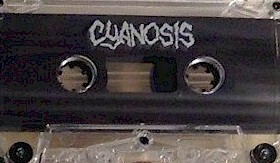 Cyanosis made its debut in the spring of 1993, having risen from the ashes of the recently-deactivated Final Descent, with the initial lineup featuring Al Andrews, Lee Bruso, Scott Zwieg, Mike Phillips and Curt Paquet, The band followed up its debut at Sledge Fest by releasing a limited-edition four-song EP cassette culled from their performance at Sledge Fest, and continued to pummel audiences through 1994, and also during the year released the “World of Suffocation” demo which brought the band significant attention from the metal underground and various record labels. 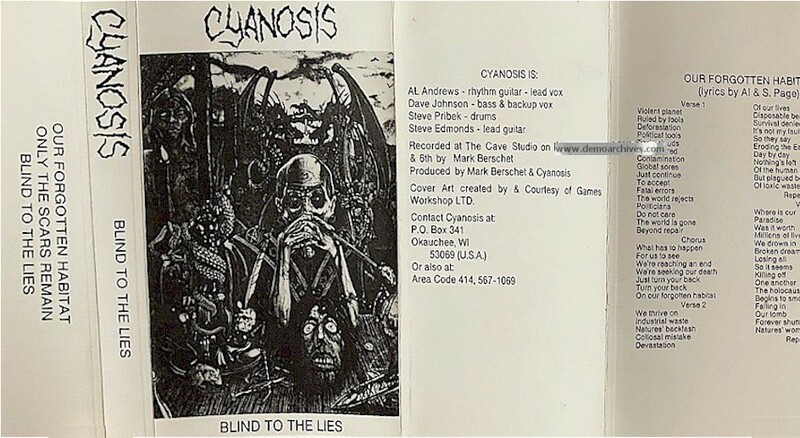 Looking to follow up on the success of the “World of Suffocation” demo, the band recorded and released the “Blind to the Lies” demo in 1995, which was ultimately picked up by Relapse Records for distribution. 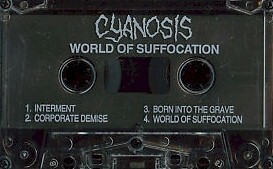 The band released the “Rebirth” demo in 1996, which received significant attention from the metal press, and eventually landed Cyanosis a review in RIP magazine. While interest in the band continued to be quite strong and growing, lineup issues, with several changes in personnel having taken place since its inception continued to be an issue, with four of the five original members having departed and been replaced by 1997. 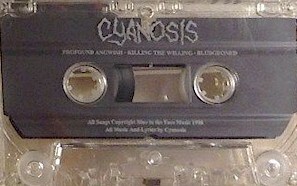 In 1997, Cyanosis played the Michigan Deathfest and the legendary Milwaukee Metalfest, which helped propel Cyanosis to a higher level of popularity within the extreme metal underground, and in 1998, they recorded the “Bludgeoned” demo, which led to the band signing with Genocide Music later that year. In addition to this professional success, the band continued to expand its audience with shows alongside Mortician, Fleshgrind and many others throughout the year. As the momentum of 1998 bled into 1999, the band recorded their iconic debut album, “Methods” and followed up the release of the album with shows in Iowa supporting Morbid Angel and a return engagement at Milwaukee Metalfest alongside Nile, Dying Fetus, and many others. Pro-printed cover / pro-printed tape. Lyrics on back of cover. 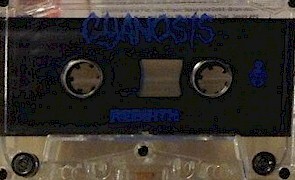 Pro-printed four panel cover / pro-printed tape. Lyrics on back of cover.